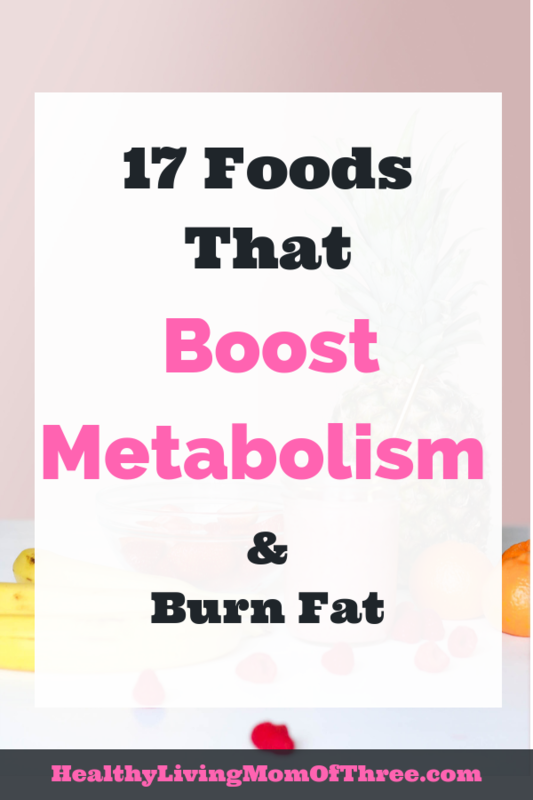 Are you looking for foods that increase metabolism? The way to successfully lose weight and keep it off is to increase your metabolism. When you have a higher metabolic rate your body will burn off more calories naturally. This helps promote fat loss. There are many ways to speed up your metabolism. 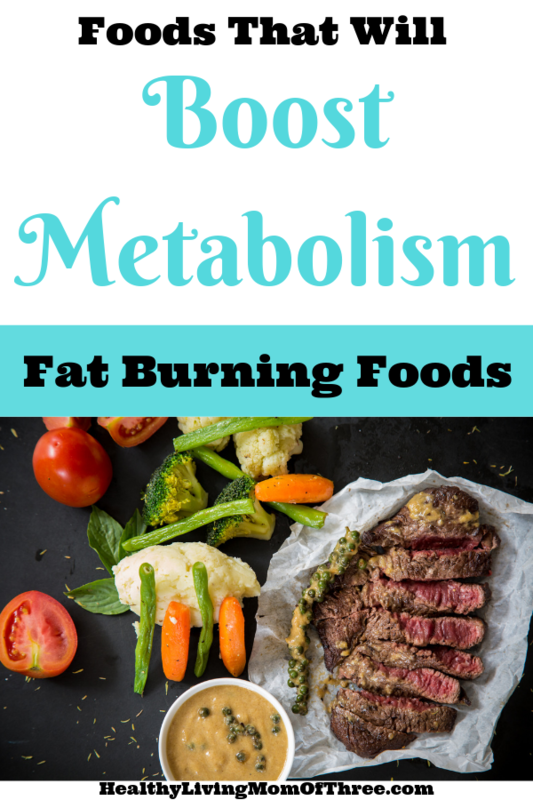 Today we are going to go over a list of foods that increase metabolism and burn fat. Meats like chicken and turkey have great boosting metabolism powers. When you add in protein dense foods not only will it boost your metabolism but it will keep you fuller longer. Therefore, you are less likely to over eat. Plus, when your body breaks down protein it takes more energy. So you are burning more calories by doing so. Almonds and other nuts are another protein rich food. They are high in fiber and are packed with essential fatty acids which can speed up your metabolism. When looking for the healthiest nuts stick to as raw as you can. Certain fish like salmon are filled with omega-3 fatty acids. Omega-3 fatty acids effect leptin, which is a hormone that regulates metabolism. If you do not care for fish you can always add in a Omega-3 fish oil. If you have ever looked at body builders, they rely on eggs a ton and there is a reason why. Eggs are another great source of protein and a low calorie food. Making them great to speed up metabolisnm and burn fat. Spicy foods in general have been shown to boost your metabolism. So if you like a little heat in your food the better it can be for your metabolism. I wrote a few weeks ago I go over all of the benefits green tea has for weight loss. Green tea contains antioxidants called catechin polyphenols which have been found to speed up your metabolism. I personally have found green tea helpful when I have hit a weight loss plateau. Its a great natural kick start to boosting my metabolism. Just like chili peppers, ginger is one of those spicy foods that will get your metabolism in check. Ginger also promotes great digestion. Adding fresh ginger into your meals could boost your metabolic rate as much as 20%! Packed with protein you’ll find legumes on my list. Since they are high in resistant starch and fiber your body will spend more energy breaking them down. Which makes legumes a great fat burning food option. Spinach is a top super food when it comes to health but its main benefit is its massively high in vitamin B. Any leafy green like spinach is high in fiber too which supports digestive health. These foods are known to boost metabolism by a whopping 30%! If you are not a fan of cooked spinach or spinach salads, adding a handful into your smoothies are a great option. Berries are basically made up of water but contain amazing amounts of fiber. Snacking on berries is a great low calorie choice for weight loss. Berries are serious power foods that increase metabolism. Avocados are known as a great source of healthy fat. Healthy fats can help lower cholesterol and boost your metabolism. Studies also link eating avocados to people with less belly fat. A low calorie food packed with vitamins, especially vitamin E which is great for your immune system. Asparagus is loaded with fiber and will help keep you fuller for longer. Chickpeas are my personal go to in the bean family. They contain high amounts of fiber and protein. Its a win win bean here! There are so many ways you can add chickpeas into your diet. Roasting them is a great option as a side dish or a snack. You can make hummus too, just watch the other ingredients you put into it! My recent favorite is “chickpea tuna”. I know sound’s weird right? I thought so too until I tried it! Mash the chickpeas and add light mayo and other seasonings you would add to tuna. I was shocked how much I loved this on crackers. Are you sick of me mentioning fiber yet? Well, apples are one of them that has a ton. Apples are a great low calorie snack option and a fat burning food you should add into your diet. I can not write a post on foods that increase metabolism and not mention apple cider vinegar. Apple cider vinegar can help you digest food and increases nutrient absorption. Therefore, it can help booting your metabolism. I am specifically talking about lemon water here. Drinking more water is great for your overall health but when you add in lemons it does have an affect on your metabolism. Lemons are great for detoxifying your liver and helps eliminate waste. Here is the deal with coffee and increasing metabolism. It’s temporary. Any caffeine will increase your metabolism and can help you burn more fat but this is not long term. Your body will become adjusted to that one cup of coffee in the morning. In order for coffee to increase metabolism long term less is more. If you are not a regular coffee drinker adding in a few cups a week and vary it out will help you. This is not the case for regular coffee drinkers like me.